Only 4 EXT CAB 4WD 143.5 models left in stock! 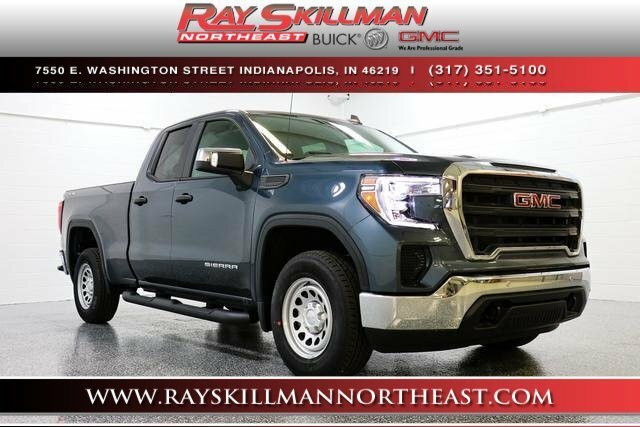 Includes (UD5) Front and Rear Park Assist, (UKC) Lane Change Alert with Side Blind Zone Alert, (UFG) Rear Cross Traffic Alert, (V46) front chrome bumper, (VJH) rear chrome bumper, (KI4) 120-volt power outlet and (DP9) outside chrome mirror caps; (Includes Perimeter Lighting. ; Includes (V76) recovery hooks on 2WD models. 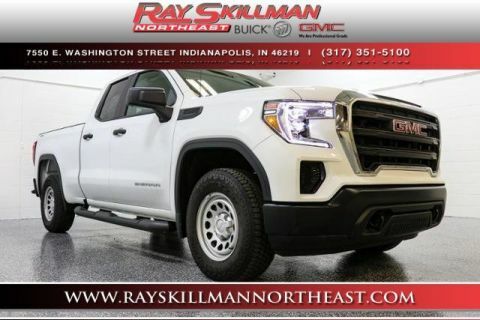 ONSTAR AND GMC CONNECTED SERVICES CAPABLE Fleet orders receive a 3-month trial. 1SA DRIVER ALERT PACKAGE I includes (UD5) Front and Rear Park Assist (UKC) Lane Change Alert with Side Blind Zone Alert (UFG) Rear Cross Traffic Alert (V46) front chrome bumper (VJH) rear chrome bumper (KI4) 120-volt power outlet and (DP9) outside chrome mirror caps (Includes Perimeter Lighting. Includes (V76) recovery hooks on 2WD models. With Incentives like these-- this one is hard to pass up! 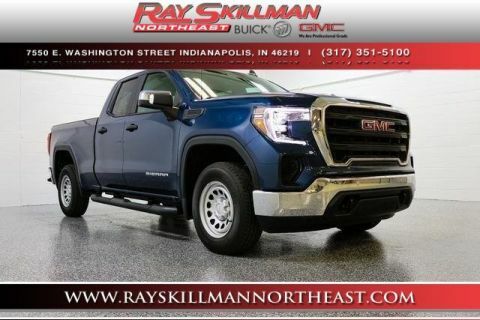 You will love driving this 2019GMCSierra 1500 with Standard features include: Bluetooth, Power door locks, Power windows with 4 one-touch, Automatic Transmission, 4-wheel ABS brakes, Air conditioning, Traction control - ABS and driveline, 4.3 liter V6 engine, Head airbags - Curtain 1st and 2nd row, Passenger Airbag, Tilt steering wheel, 4 Doors, Four-wheel drive, Fuel economy EPA highway (mpg): 20 and EPA city (mpg): 15, External temperature display, Tachometer, Bed Length - 79.4 ', Clock - In-radio display, Cylinder Deactivation, Daytime running lights, Dusk sensing headlights, Engine hour meter, Front seat type - Split-bench, Intermittent window wipers, Overhead console - Mini with storage, Pickup Bed Type - Regular, Self-leveling headlights - Self-leveling, Speed-proportional power steering, Split-bench rear seats, Stability control - With Anti-Roll, Tire pressure monitoring system, Transmission hill holder, Trip computer, Video Monitor Location - Front.... With our guaranteed approval program, you can drive home today in the style you deserve!